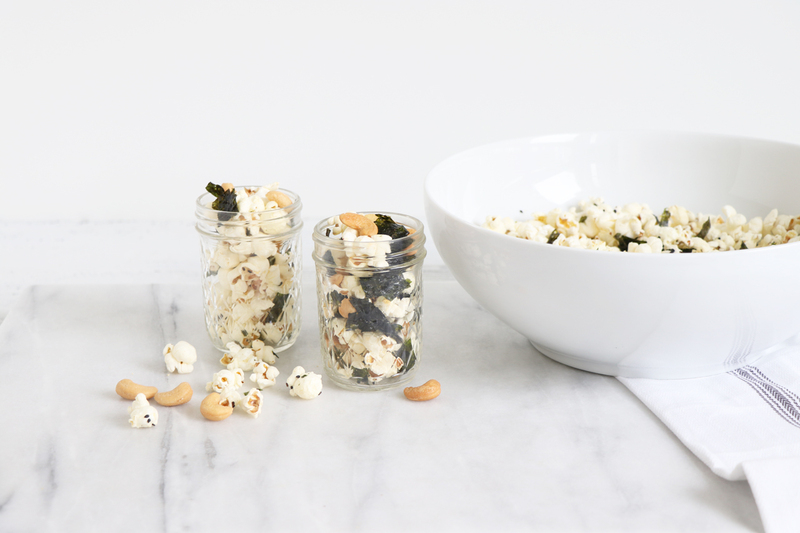 3 EASY + HEALTHY SNACK IDEAS FOR BUSY + ON THE GO! Hi Friends! Welcome back to the blog. 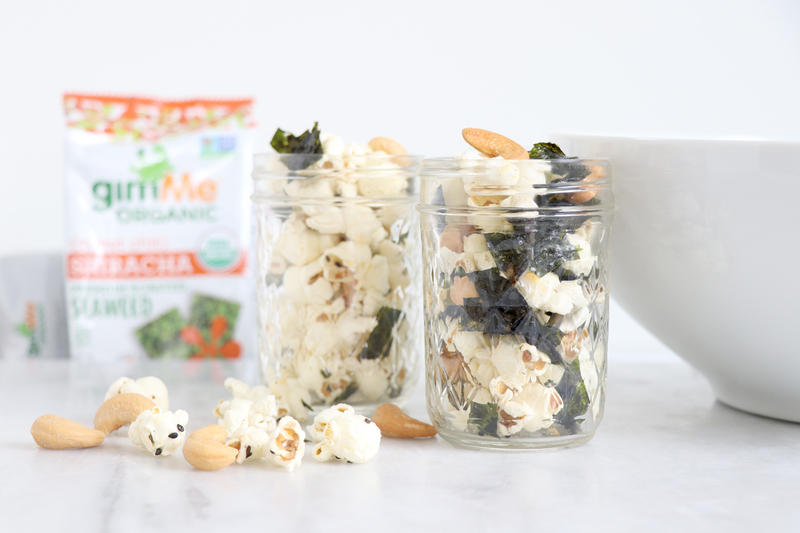 Today I’m sharing three easy snack ideas that are simple to make & all share one common ingredient, seaweed! 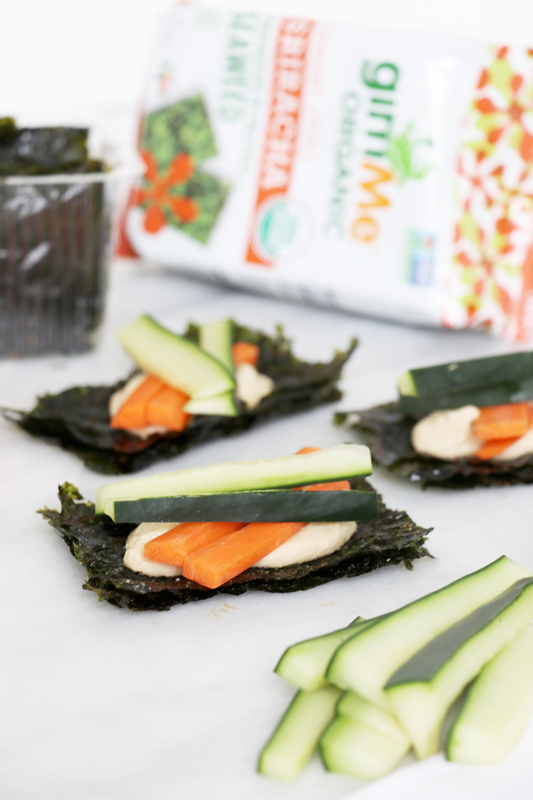 Although seaweed is a trending ingredient it has been around forever! 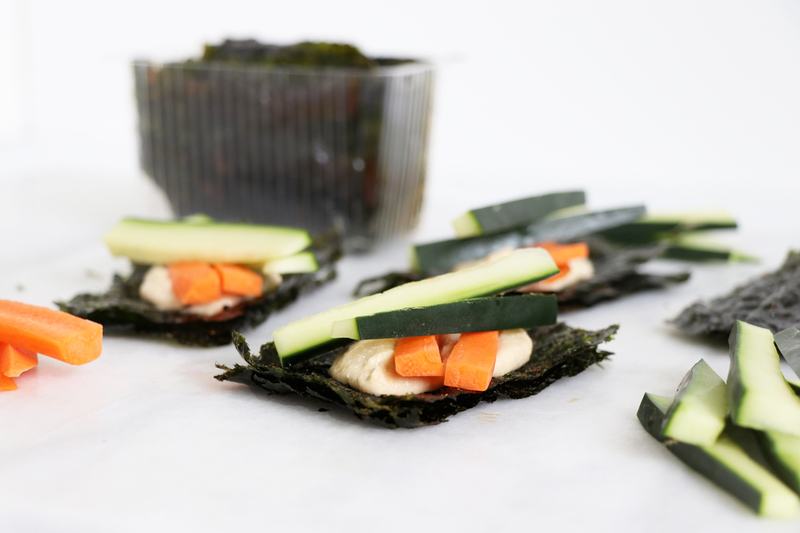 Seaweed is dense in vitamins A, C, K, E and contains iodine, which is good for your thyroid. Check out our recipe below! Peel and julienne carrot. Wash, halve and remove seeds from cucumber; then julienne. 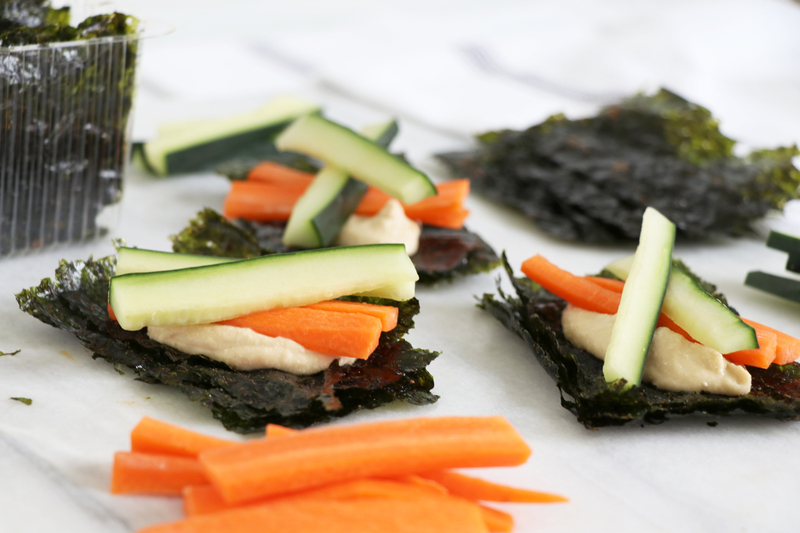 Stack 2 - 3 seaweed snacks together, top with hummus and a few strips of carrot & cucumber. Fold or roll and Enjoy! 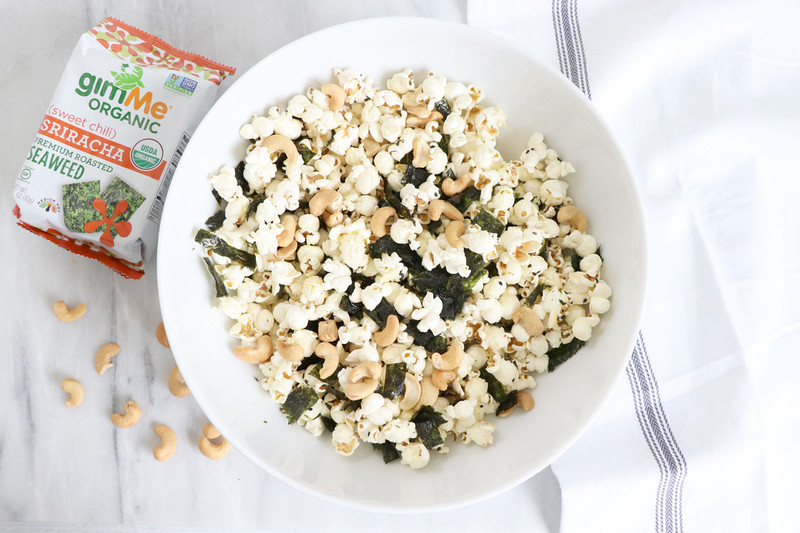 Sprinkle seaweed snack pieces, sesame seeds, cashew halves and sea salt and stir together, add more oil if needed. 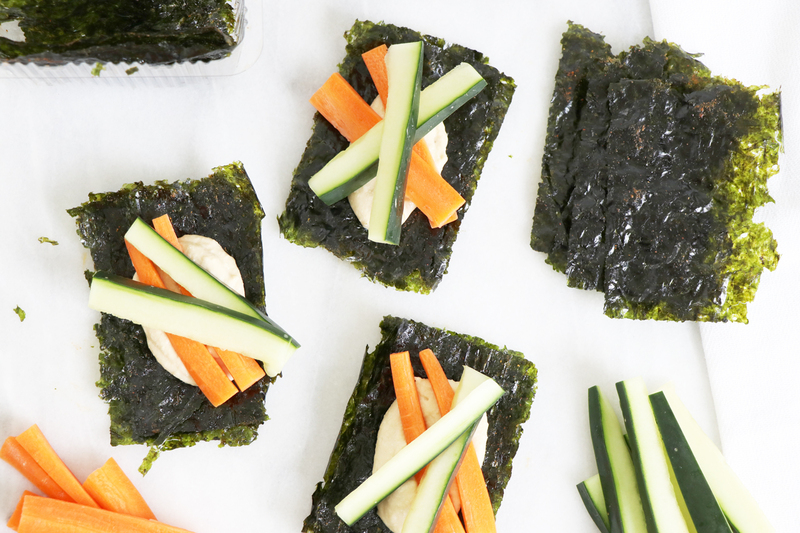 Roll seaweed snacks and slice into thin strips. Rinse & drain chickpeas and add to a bowl with mash coconut milk and mustard and mash. 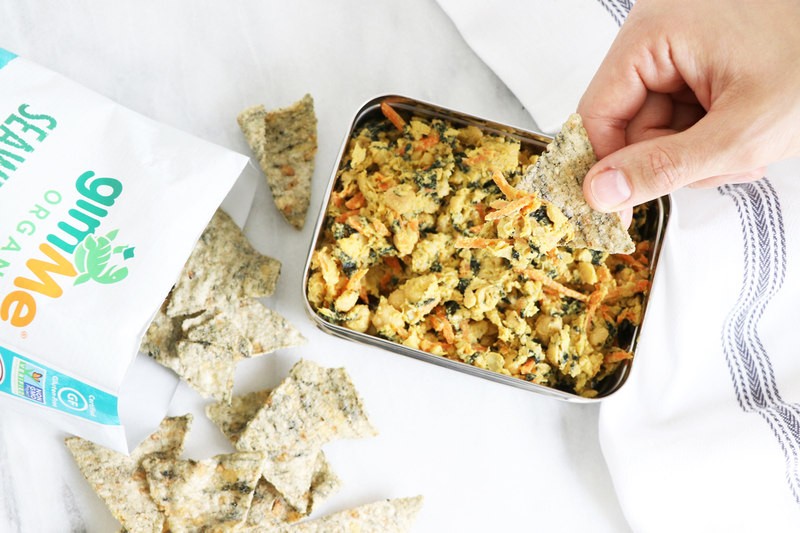 Add shredded carrots, a pinch of sea salt & pepper and seaweed strips. Mix together & Enjoy! 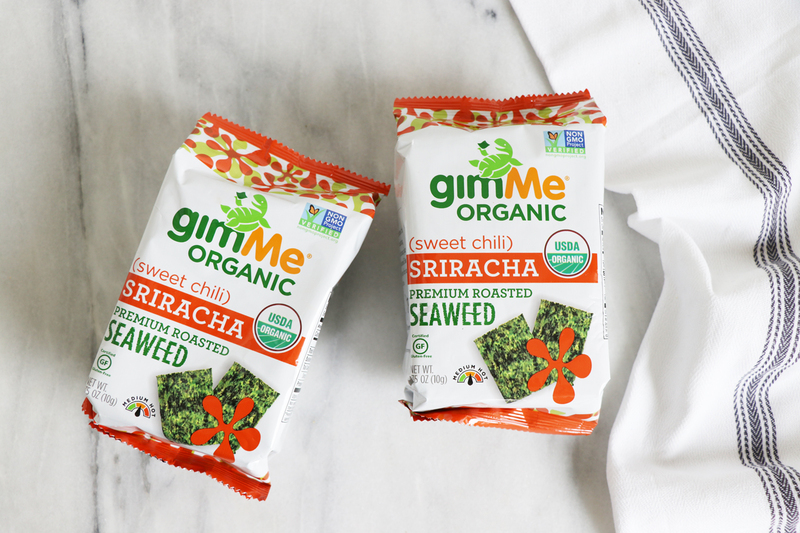 Important to get organic seaweed to avoid chemicals in the ocean. 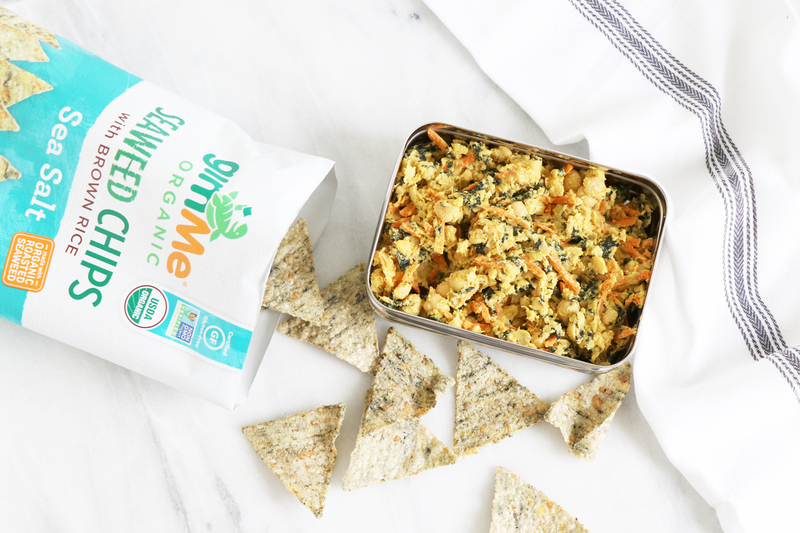 gimMe’s is grown in a highly protected region! Disclosure: This post & video is sponsored by gimMe. We only partner with brands we love, genuinely use & enjoy and are excited to share with our community. Sponsors make it possible for Healthy Grocery Girl to create recipe blog posts & videos that are free for our community to enjoy.